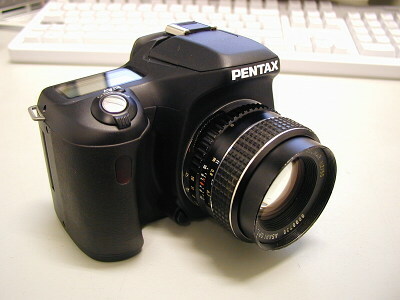 Pentax *ist DS - an entry-level dSLR with a lot going for it! More info will follow over time. Most of my M42 bodies are from Revue or Porst. Please note that "Porst" and "Revue" are trading brands. These are brands of large german mail-order stores Quelle and Neckermann. Behind these brand names often stand well-reputed manufactures like Zenit, Praktica, Chinon, Cosina, Fujica or Mamiya. Generally, the Porst and Revue versions are much cheaper than the original ones. Sometimes you see a rare colour variation (of the bodies) which brings the price up a bit.